The Speech in Noise Toolkit has been designed collaboratively by Ewing Foundation and Connevans Ltd. 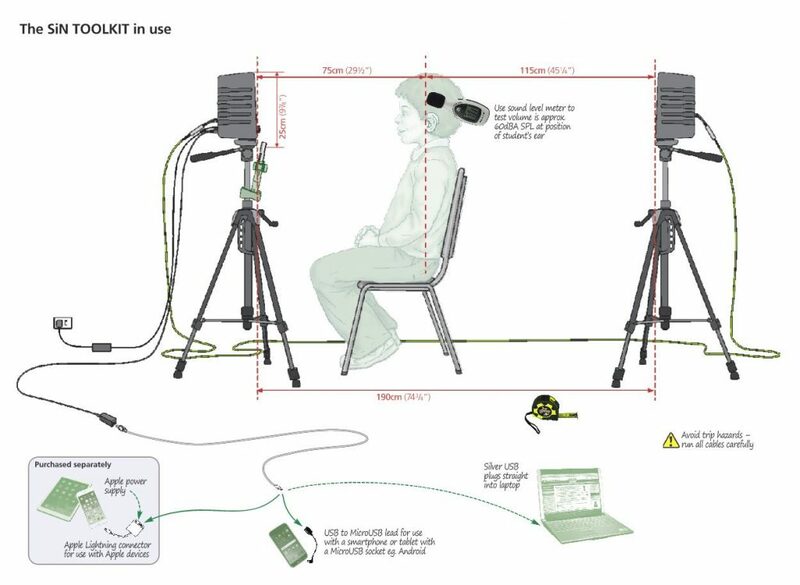 It plays pre-recorded sound through the user’s own device (computer, tablet, smart phone) and includes all equipment needed to carry out accurate and repeatable speech in noise tests for pupils of all ages. The Toolkit is intended for use in school settings. It is not intended to replace or replicate clinical test tools, but when used with a range of tests, it will provide useful, measurable and repeatable speech discrimination test results. The Toolkit includes the Manchester Picture Test, Manchester Junior Word List and AB Short Word List, plus all equipment needed to perform speech discrimination tests from a variety of devices. The Speech in Noise Toolkit is available from Connevans Ltd. Please contact us if you would like to arrange a demonstration.